Another example of a perfect everyday necklace. Ideal on the school run, in the office or even on the beach. The chain measures 60cm in length so its perfect for just putting over your head. You don’t even need to undo the clasp! 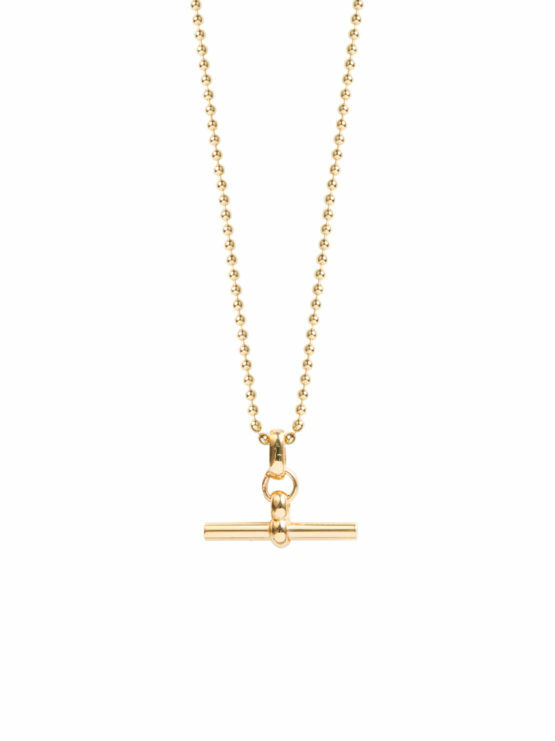 Both the T-Bar (measuring 2.5cm in width and 2cm in length) and sterling silver chain have been gold plated in 23.5 K. We have a years guarantee on all our gold plated items so you don’t need to worry about any plating issues, we do recommend not to spray perfume directly onto the product and to avoid swimming and showering where at all possible while wearing the necklace.